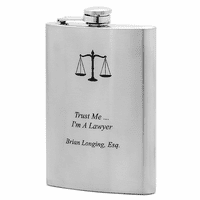 For the doctor or nurse in your circle of family and friends, this medical flask is the perfect gift! 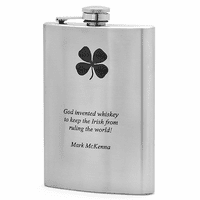 It is made from black-finished stainless steel, holds 8 oz. 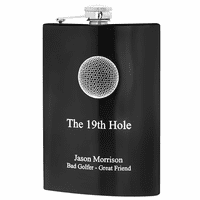 of a favorite beverage, and has a leakproof captive screw-on lid. 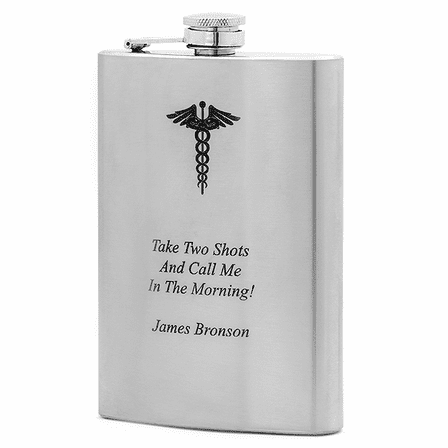 On the front, is a laser-etched caduceus, symbolic of the medical profession, and a humorous line: Take Two Shots and Call Me in the Morning!" Add your own message, your gift recipient's name or initials underneath the emblem for an extra-thoughtful and unique touch! .